*Schedule subject to change due to severe winter weather, mechanical failure, and/or new site additions. 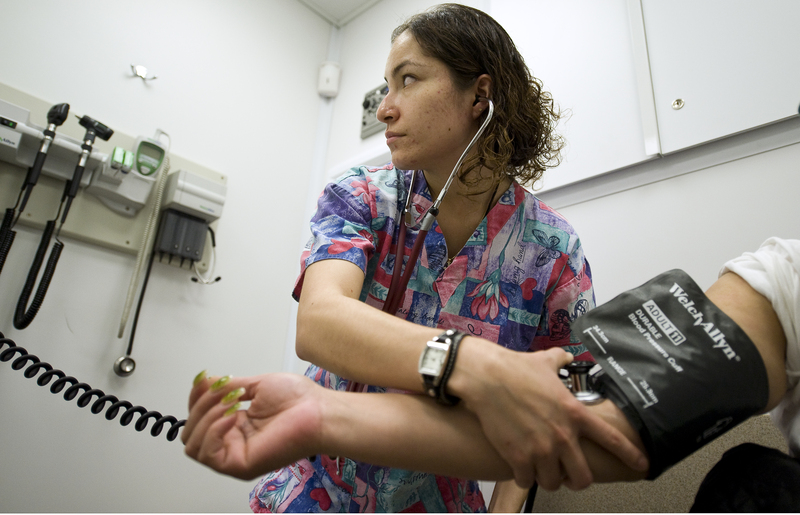 The Coalition's Health Outreach Program (HOP) was founded in 2002 to increase access to health care for the homeless. By taking health care on the road, and delivering health care in the evening hours, the HOP helps address typical barriers to health care such as lack of transportation or scheduling difficulties for the working homeless. Each week, the mobile medical clinic makes scheduled stops at homeless shelters and drop-in centers across Denver. The HOP is a gateway to engage in integrated medical, behavioral, dental, and vision care. The mobile medical clinic travels with a Medical Assistant accompanied by a Physician, Physician Assistant, or Nurse Practitioner. On board, HOP providers run two treatment rooms, a small pharmacy, and a lab. New patients are welcome to walk-in for care at any location. The primary goal of the HOP is to provide care for every patient onsite, and to encourage follow-up care at the Coalition’s Stout Street Health Center.